Drawing from a rich set of archival sources, Fictive Kinship shows that even the most draconian anti-immigrant laws, such as the Chinese Exclusion Act of 1882, contained provisions for family unity, albeit for a limited class of immigrants. Arguments for uniting families separated by World War II and the Korean War also shaped immigration debates and the policies that led to the landmark 1965 Immigration Act. Lee argues that debating the contours of family offers a ready set of symbols and meanings to frame national identity and to define who counts as "one of us." Talk about family, however, does not inevitably lead to more liberal immigration policies. Welfare reform in the 1990s, for example, placed limits on benefits for immigrant families, and recent debates over the children of undocumented immigrants fanned petitions to rescind birthright citizenship. 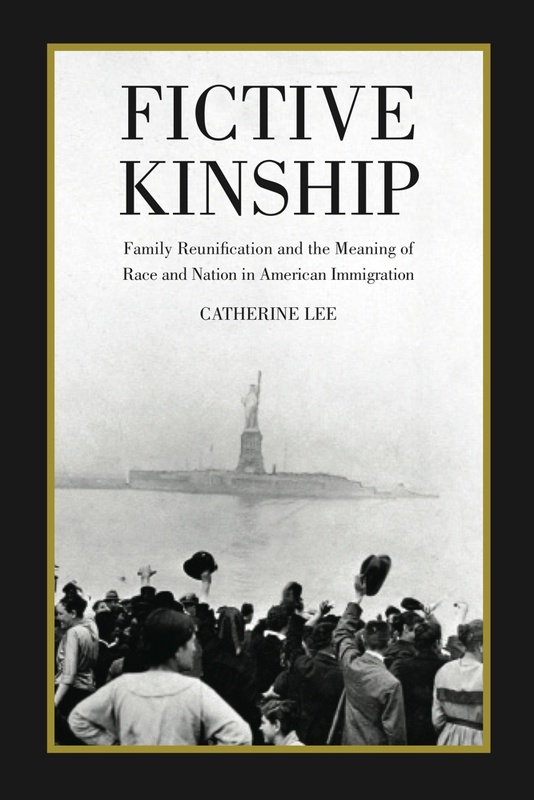 Fictive Kinship shows that the centrality of family unity in the immigration discourse often limits the discussion about the goals, functions and roles of immigration and prevents a broader definition of American identity.